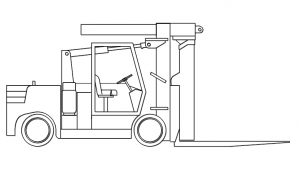 Avoid the High Costs of Purchasing a Heavy Forklift. Rent Through our Versa-Lift Rental Program. If your upcoming project in the Mid-Atlantic area requires your crews to lift and relocate large, heavy machinery and equipment, then you need a Versa-Lift forklift. 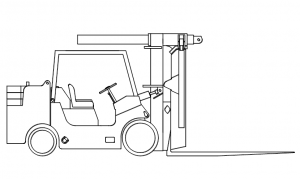 Rent from our large fleet of Versa-Lift forklifts in capacities ranging from 25,000 lb. to 100,000 lb. These unique and flexible lifting machines give you abilities other lifting equipment can’t. Designed specifically for riggers and large material handlers to move and relocate heavy machinery and equipment smoothly and safely on solid surfaces. Our fleet is also designed to operate within tight quarters. These are more than just your typical forklifts. 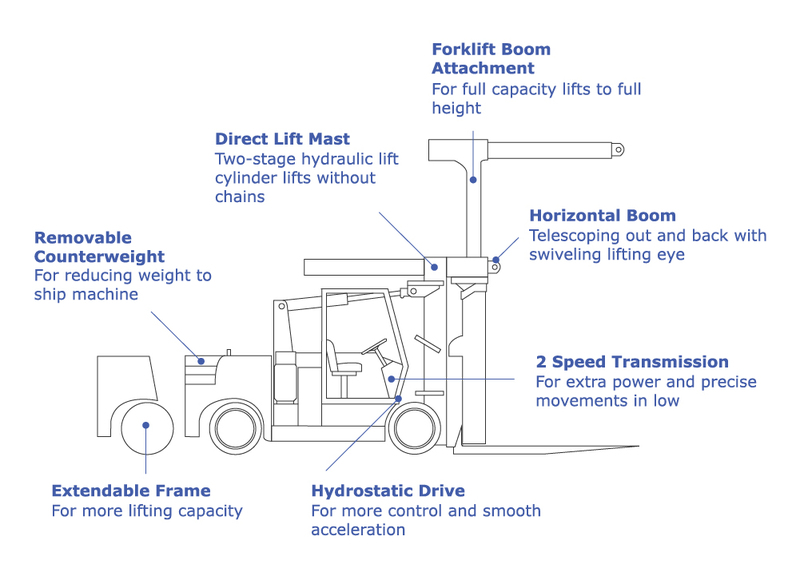 Our Versa-Lift forklifts can be rented with non-standard 108” forks allowing you full contact under 8’ deep loads. You’ll appreciate this if you’re side-loading trailers. When forks just won’t get the job done, we can provide you removable hydraulic booms, giving these forklifts a crane-like capability. Operators can swap to the boom within a matter of minutes. All of our Versa-Lifts are rented out of the Greater Philadelphia Area. Transportation can be provided by A&A to your job site. Need someone to operator? We can provide you with an experienced and certified Versa-Lift operator to assist in completing your project in a timely and safe matter. Minimize downtime. Avoid high costs. Rent Now! 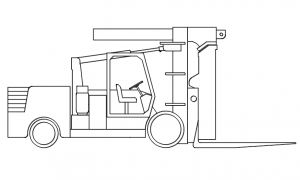 No 12-18 month lead time, which is typical when purchasing a new heavy forklift. Eliminate regular maintenance tasks and costs. So, what are you waiting for? Rent heavy forklifts with A&A Versa-Lift Rentals.